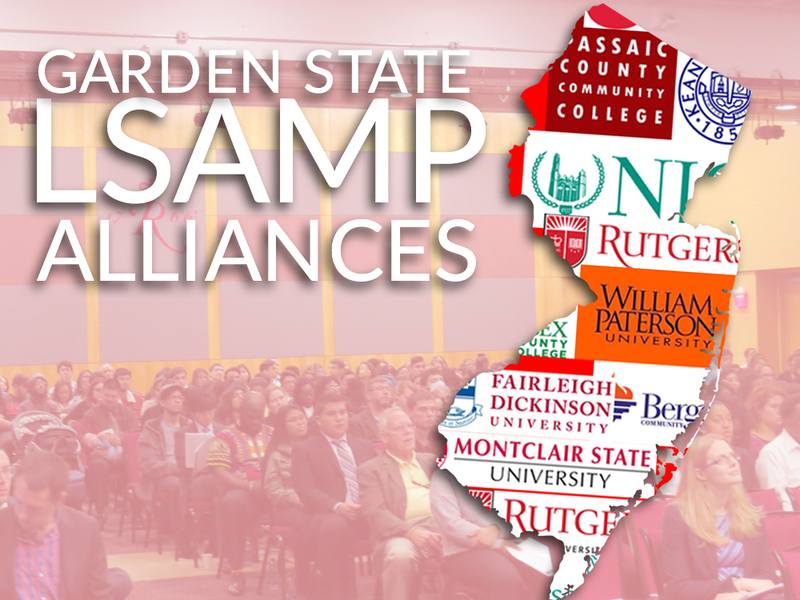 The Garden State LSAMP (Louis Stokes Alliance for Minority Participation) program, is a non-medical Science, Technology, Engineering and Mathematics (STEM) program, funded by the National Science Foundation. The LSAMP program is designed to increase the number of professionals from minority groups that are traditionally underrepresented in STEM fields. The program provides support services at many levels to help interested students be successful in STEM majors. STEM fields are exciting, challenging and lead to rewarding and stable careers! Most of the problems our world faces are being addressed by professionals in STEM areas. Whether it is to address global warming, energy production, food production, finding cures to disease, information technology or space travel, it will require a vast supply of STEM professionals for success. There is a severe shortage of people with this kind of training in the United States. For that reason, the U.S. is falling behind many countries in our ability to compete, which will have dire consequences for our country in the long run. To address this need, the LSAMP program (previously called AMP) began in the 1980's and continues to grow today. The idea is to provide academic support, and specialized advising for students who wish to enter STEM professions. Students are eligible for mentoring, free tutoring services and paid research opportunities with university faculty. The program now has 50 LSAMP alliances and is considered one of the most successful of its kind. The mission of the Garden State LSAMP program is to increase the retention, graduation and success of students from minority groups that are traditionally underrepresented in STEM. The Phase II project focuses on 1) assisting community college students to successfully transfer to four-year programs, 2) preparing and assisting students to matriculate into graduate programs and 3) increasing student opportunities in international experiences. Stipends for tutoring, leading study groups, doing research, community service, etc. If graduate school is your next step, being an LSAMP member qualifies you for the Bridge to the Doctorate (B2D) program, available at a variety of schools. If accepted, the program will pay you $32,000 annual stipend for your first 2 years of graduate school. Additionally, the B2D institution will commit to support you for an additional 3 years while you complete your doctorate. If graduate school is not on the horizon, you will have completed an undergraduate degree that will allow you to obtain an exciting position in a STEM field. With more available jobs than qualified applicants, STEM professionals are in high devand, making their careers very secure, even in tough economic times.